Right now it's so easy to take lovely branches, berries, nuts & fruits and make great colorful holiday displays with them. You don't even need to know how to arrange flowers. 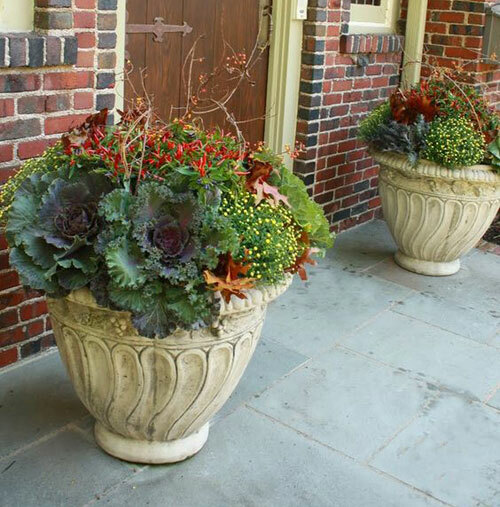 Arizona Pottery suggests that you take a garden planter and fill with these items and create a lovely fall arrangement. Here's a few suggestions. To get this look at left all you need to do is take a Arizona Pottery Cache pot and fill with these easy items. Make sure the planter is at least 12" wide, select a muted color like the white shown. 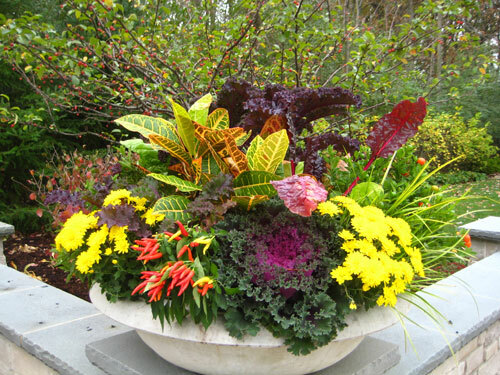 This is not the time for bright colorful containers when you are planting with bright bold plant materials. Fill the center with a piece of floral foam. Secure with floral take and then fill with a mix of branches, boughs, greens, reeds and sticks. Creating a rough mixture is the look you are trying to achieve. When it comes to the front door the look shown to left is easy to achieve. Potted Kale is colorful, large, lush and can create a warm lovely display. Mixing the potted cabbage with colorful pumpkins in white, green and oranges really make a fun and bright display. We have a blog entry on just this type of cabbage with great photos and information. Check it out here. These giant rosettes of frilly leaves are beautiful and ornamental. 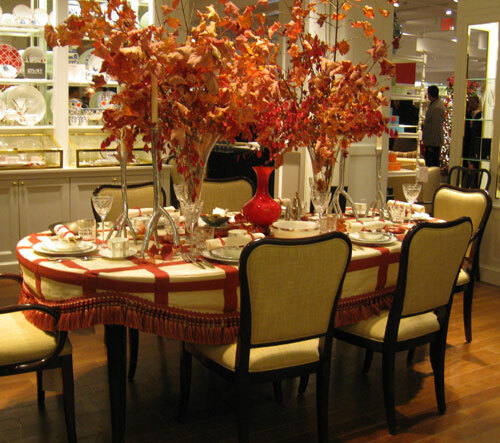 To create these simple displays you can use foliage from maples trees where the leaves are bright red and lacy. You just have to arrange them in groups by sizes and colors. The firery red is a great focal point for any display where you use a Arizona Pottery container. Use feathery green branches covered in different shades of colors. Just keep adding branches till you get the fullness you are aiming for. This time of year it is really easy to decorate when you use the items that are found in your garden or yard areas. Arizona Pottery containers make it super simple.